Deo and his friends play soccer with a homemade ball on the dusty fields of Zimbabwe, cheered on by Deo's older brother, Innocent. It is a day like any other until the soldiers arrive and the boys are forced to run for their lives, fleeing the wreckage of their village seeking safe haven in South Africa. 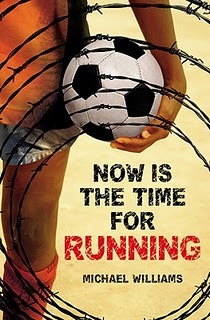 Author Jewel Parker Rhodes says the book is "a thrilling, beautifully told tale of survival, brotherly love, and the redemptive power of sport. Deo is a hero for the real world."